What sets Lyfe Kitchen apart from other catering services is their promise of healthy and well-balanced food choices for everyone. And when we say everyone, we mean, everyone. They can turn simple ingredients into mouth-watering, flavorful meals that even the pickiest eater will enjoy. 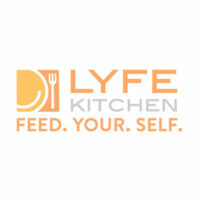 Lyfe Kitchen operates in the states of Tennessee, Illinois, Nevada, Texas, and Colorado. LYFE is an acronym for Love Your Food Everyday. Lyfe Kichen was founded by Mike Roberts, Mike Donahue, and Stephen SIdwell in 2011. A place for nutrition-oriented food and their goal to provide a healthy, and extraordinary service to their patrons is what this company is made of. Although Lyfe kitchen is also proud to offer dishes that are gluten-free, they do not guarantee both a gluten-free and allergen-free environment. This is due to the nature of their sharing prep and cooking areas. If you’re looking for a fancy but casual dining experience, head on to Lyfe Kichen Catering. Ordering online is super easy. It may look like you’re really ordering from a fancy restaurant because of their menu. Lyfe Kitchen abides by their mission to serve a variety of healthy and nutritious food without breaking the bank. The good news is, they deliver 7 days a week for tasting menus, box lunches, a la carte items, and catering packages. Just make sure you give at least 24 to 48 hours notice so your food can be delivered on time. Take note that prices are subject to change depending on the season. Packages, excluding box lunches, can serve up to 10 guests in full portions. A la carte items such as starters, wraps, salads, and desserts can be added depending on the event size. No partial orders are allowed. If you’re looking for a fancy but casual dining experience, head on to Lyfe Kichen. You may visit their website to place your orders. The good news is, they deliver 7 days a week for tasting menus, box lunches, a la carte items, and catering packages. Just make sure you give at least 24 to 48 hours notice so your goodies can be delivered on time. Take note that prices are subject to change depending on the season.